Gaijin is back at it again with a new Japanese tank Devblog. 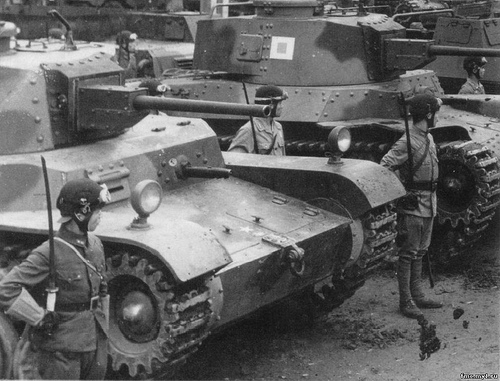 This time we get a good look at the Chi-Nu, Japan's last mass produced tank of the war. As a heads up, I am going to be looking over the devblogs the Japanese tanks from here on out. This is to help Gaijin get the most out of these devblogs and keep you guys excited! Do not worry though, with each devblog posted I will have a followup article posted here, as always. That aside, let's take a deeper dive into the Type3 Chi-Nu. Look at that big head of his! After the entry of the United States in the Second World War, Japan had to rely almost exclusively on the Type97 Chi-ha for their main armored firepower. However, Japan knew that their tank doctrine would be ineffective against their first major opposition in the conquest in the Pacific islands. In order meet the new challenge posed by US armor and to prolong the war, Japan manufactured a new model of the Chi-Ha, with a 47mm cannon, the Chi-Ha Kai. This tank was given the first capable anti-tank cannon able to battle the American M4 Sherman frontally. But the Imperial Japanese Army knew that the design’s success would only briefly be enough, and that more would be needed to compete one on one. In 1942, Japan would revise their doctrine to match leading nations, like the Soviet Union and Nazi Germany, in their tank design and focus on the anti-tank role instead of infantry support tanks. With the reach of the American war machine quickly approaching Japanese territory, they were forced to rapidly switch to a system that other nations had adopted after the results of the First World War. Three concepts were proposed by the Japanese Army, each with their own gun selection; Kou (47mm), Otsu (57mm), and Hei (75mm). Ultimately, these three concepts led to the Type4 Chi-To and Type5 Chi-Ri. But Japan knew that development of these would take time they could not waste and, as such, development of a tank that could be produced quickly was decided upon for the meantime. The Type1 Chi-He, a modernized redesign of the Chi-Ha, was chosen to become the base of this new tank. Type1 Chi-He (left) alongside a Chi-Ha Kai (right). The gun chosen to combat the M4 Sherman was the Type 90 anti-tank artillery cannon. The cannon had excellent results when faced with foreign armour; it was already being used as the primary armament of the Type1 Ho-Ni I assault gun. 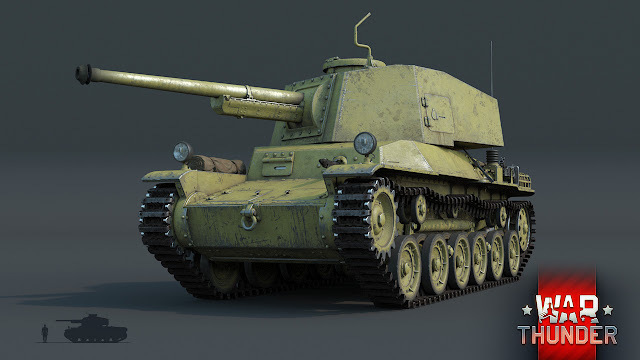 In 1943 the Japanese Army decided to modify the cannon for reliable tank use, and changed it into the Type3 75mm Anti tank cannon models I and II. 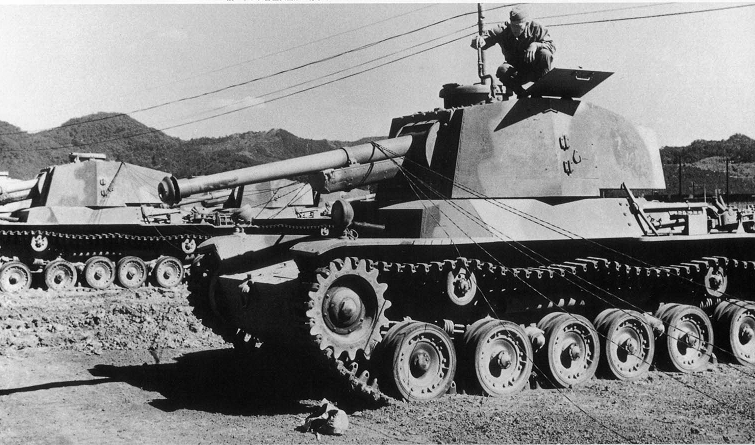 The first model was mounted on the Type1 Ho-Ni III tank destroyer, while Model II was given to the Chi-Nu tank design. Both weapons were given modern aiming devices which had not been present on the original Type90 cannon. During the Philippines campaign, there was a case of a Type1 Ho-Ni I equipped with the test model Type 90 anti-tank artillery destroying an M4 Sherman from the distance of 500m. After receiving the results, the chief engineer of Mitsubishi, Shigeo Otaka, said the following; "I think that it has the ability to fight sufficiently against the M4". It was after this that Japan realized the effectiveness of the cannon against enemy armour. In May of 1945, the Chiefs of Staff and the Ministry of Education indicated that the anti-tank artillery piece could, in fact, efficiently penetrate the front of the M4 tank. However, it was necessary to attack the side and rear armor when possible in order to have a minimal risk of bouncing, due to the angle of the M4’s upper front hull armor. Depending on the variant (but excluding the Jumbo), the front of the turret on the M4 medium tank is 64mm - 76mm thick, the gun mantlet 76mm - 89mm thick and either flat or sloped at 30 degrees, and the front hull armor is 51mm - 64mm thick sloped at 45 - 56 degrees. The combat angle of the Chi-Nu’s cannon to the M4’s front had to be tightly calculated. The Type90 Anti Tank Artillery cannon as a towed mount. The muzzle velocity was 668 meters per second. Tanks of the 4th Division. A set of Chi-Nu tanks with a couple Ho-Ni III tank destroyers to the rear. The testing results of the Type1 APHE shell were mediocre and did not meet the requirements of the cannon. To improve on this, the Army developed a Tungsten-Chromium steel anti-tank shell known as the Type1 APHE Tokko Ko. This shell had an improved muzzle velocity of 683 m/s and was capable of penetrating 100mm of RHA at 500 yards, and 85mm at 1000 yards. These shells held around 10 grams of explosive material each. Explosives were heavily prioritized for Japanese tank cannon shells in order to cause as much post-penetration damage as possible. Due to problems with the distribution of rare metals, a set of armor-piercing shells contains 0.5 to 0.75% of carbon, unlike American anti tank shells that were using high-carbon steel containing 1% chromium, 0.2% molybdenum, and other small amounts of nickel. The armor of the M4 medium tank, the main tank of the U.S army at the time, reached 85mm at the front of the turret, and was cast (leaving no armour joint). The front hull armor of the M4 was 51mm - 64mm thick (again, depending on the variant), but it was sloped at ~45 - 56 degrees. As recognized by the Japanese Army, in June 1944 the Ministry of Education indicated that it was believed the armor of the M4 Sherman was slightly thicker than that of the Chi-Nu. In a combat situation, it was believed that the Chi-Nu’s APHE shells could penetrate the upper front hull armor of the M4 medium tank at 100 meters, but it turned out to be possible for the Chi-Nu’s APHE shells to achieve a successful penetration against the front of an M4 at up to 600 meters. There is a high probability of a ricochet from that distance though, due to the sloping of the M4’s upper front hull armor. The driver’s hatch on the front of the hull has a gentle slope and could be defeated from a range of ~800 meters. The hull side could be penetrated from 2,000 meters and the side of the turret could be penetrated from a distance of 1,600 meters. Regarding the accuracy of the Chi-Nu's 75mm, in an unofficial live shooting trial conducted at the Fuji Exercise Station on March 9, 1945, aiming at the area of one tatami mat from the distance of 3,000 meters, the first shell was a hit. The crew of the tank was surprised at the accuracy of this cannon. The Type3 75mm cannon had a greater effective range at 2,100 meters. At which point there was a 20% chance of hitting the target. 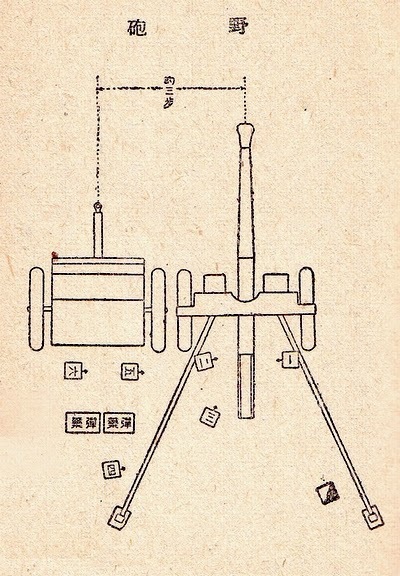 This showed it to be a very accurate cannon by the standards of the Imperial Japanese Army. Development started in the May of 1944, however the concept of the tank existed as far back as mid-’43. It was decided that the Type1 Chi-He's chassis would be used as the chassis of the Chi-Nu tank. Most details were kept the same as in the Chi-He. The most significant change was the enlarging of the turret ring. This was changed because the original turret of the Chi-Ri design I was repurposed to be the Chi-Nu's primary turret. Due to this, the tank's turret is quite large in comparison to the body. This turret was fairly hexagonal as a design, with a linear configuration using rolled steel plating. Located on both sides of the turret were observation panels, accompanied by a set of pistol ports located nearby. The cupola on the turret was stationed to the right hand side, and given a number of bullet-proof glass windows to give a proper field of view. On the top left hand side of the turret, a large hatch was located for the loader and gunner. Electric traverse control was given to the turret, but fine precision turns were performed manually. Design of the initial Chi-Ri tank. The turret was canceled in favor of the larger turret to fit an autoloading mechanism. Turret was then given to the Chi-Nu tank. The Chi-Nu used the same engine as with the Chi-He, a 27.3 liter Mitsubishi Type100 AC V12 engine. The power output was 240hp/1400rpm, and the loaded fuel amounted to 335 liters that was consumed at a rate of 110 liters per 100km. The ground contact pressure was 0.7kg/sq. cm, and it achieved a turn radius of 11 meters. The maneuverability declined due to an increase in weight from 17.2t to 18.8t , and the maximum speed on the road decreased from 44 km/h to 38.8 km/h. The transmission was located at the front of the tank. Power is distributed to the left and right via the steering gearbox, and the start wheel is moved via the final reduction gear. Maneuvering in the tank relied on a lever action instead of the typical handle system. The accelerator pedal, brake pedal, and the clutch pedal are aligned from right to left as viewed from the driver’s perspective, with the manual brake lever placed between both legs. The right side steering lever and brake lever, and the left side steering lever and brake lever were placed next to the corresponding hand. Instruments were placed on the wall on the right side of the seat. Due to the enlargement of the mounted turret, the gunshot hatch that was set up in the tank was deleted. The pilot visor in front of the cockpit seat can be pushed upward and opened to allow direct communication with infantry and give a wider field of vision. Radio equipment and radio battery are installed under the frontal machine gun. The radio was the Type3 Ko, built in 1943, and had a range of 15km telephonic or 50km telegraphic. The antennae for the tank were located behind the turret, two elongated straight antennae that were unique to the Chi-Nu when compared to past vehicles. 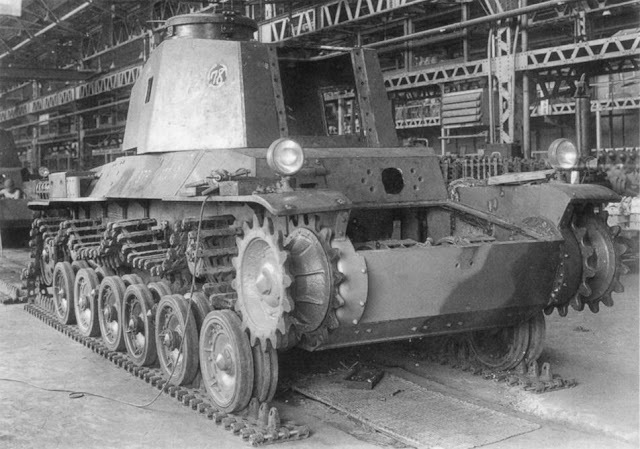 Type3 Chi-Nu being assembled along with 15 others, 1945. The Chi-Nu was entirely of welded construction, using a face hardened steel plate. The turret had a thickness of 50mm at the front, the two cheeks having 35mm, 25mm on the side, 25mm at the rear, and 10mm roof. The hull shared a similar setup, and the thickness of the armor was 50mm in the front, 20mm on the side, 25mm behind the suspension, 20mm on the rear, and 12mm on the top plate. Clearly the tank is not like the Soviet T-34 or the German Panther, which had much thicker armour. The vision port and hatches on the hull front also proved to be vulnerable targets for enemy fire. Riveting was also used for the transmission housing, further deteriorating ballistic protection. Of course, the armour of the tank proved ineffective against the penetration capabilities of the Sherman and T-34 tanks. Late in the war, 4 models of the Chi-Nu were produced with increased armour to try and better the chances of shell deflection. 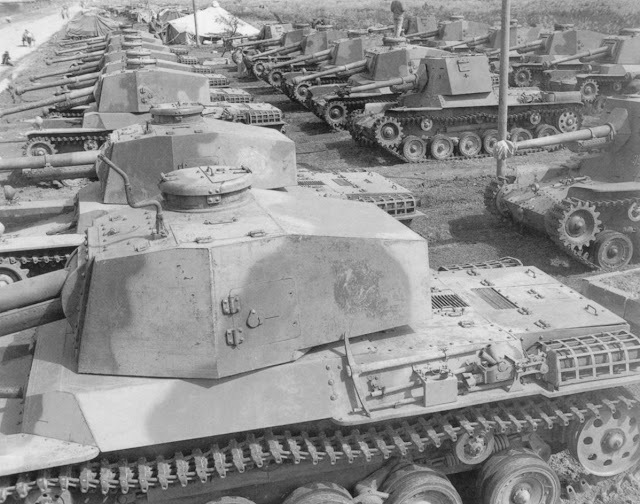 Ultimately, however, only 166 units of the Chi-Nu were produced from 1944 to the end of the war in 1945. The tanks were decommissioned and destroyed as was ordered by the Americans once the Empire surrendered, along with all other military tech. The Chi-Nu never saw combat service, due to being kept in Japan to guard against the potential invasion of the homeland, which never arrived. Only a handful of the Type3 tanks remained to serve in the Emperor's Imperial guard at the palace until the Empire officially dissolved. The Chi-Nu had many variants during its time, however, only 166 Chi-Nu’s were produced by the time the Japanese had surrendered and none saw combat. Are Chi-Ha KAI and Chi-Ha Shinhoto two names for the same thing or are they different? The official designation of Chi-Ha 47mm is Chi-Ha Kai. Kai being term for revision. "Shinhoto" means new turret. Since the Chi-Ha Kai essentially has a new turret design with an upgraded canon. Kai is official. Shinhoto informal. Could you make a I guess would be called a slide? Or something explaining how exactly the high penetration HE shells work. I can make an article on how these shells work, yes. I'll do it sometime in the foreseeable future. Thanks, and article was the word I was looking for. Towards the end, you mention that "4 models of the Chi-Nu were produced with increased armour" and "The Chi-Nu had many variants". Would you be able to go into more detail sometime in the future about these variants? Did Chi-Nu had access to HEAT shells? No, it did not. APHE, AP, and HE. Quote："Late in the war, 4 models of the Chi-Nu were produced with increased armour to try and better the chances of shell deflection."